The Westside of Vancouver is located south of Downtown Vancouver and neigbours Eastside Vancouver. It's a beautiful established area with lots of green space, beaches, trendy shopping districts and all the amenities you'd expect in a world class city. 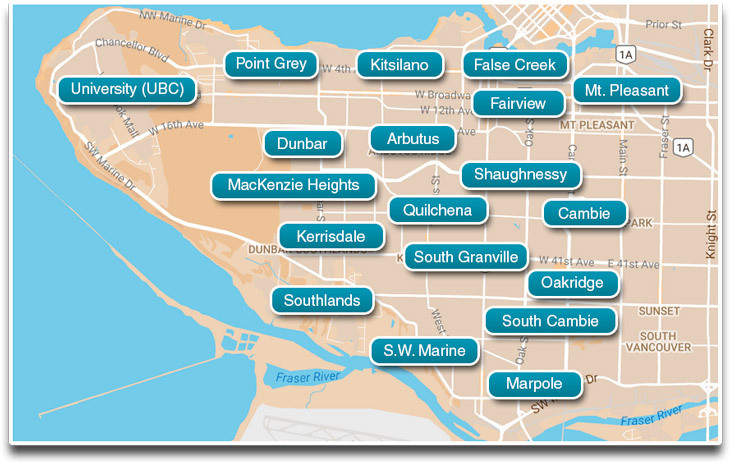 You'll find a wide range of housing options such as condos, townhouses, duplexes and houses.